Taken in Taipei, Taiwan, May 2005. Taipei is a busy city, with crowds rushing to and fro. Scooters are everywhere. My technique with the long exposure was accidental rather than deliberate, but I love the variety of colors. 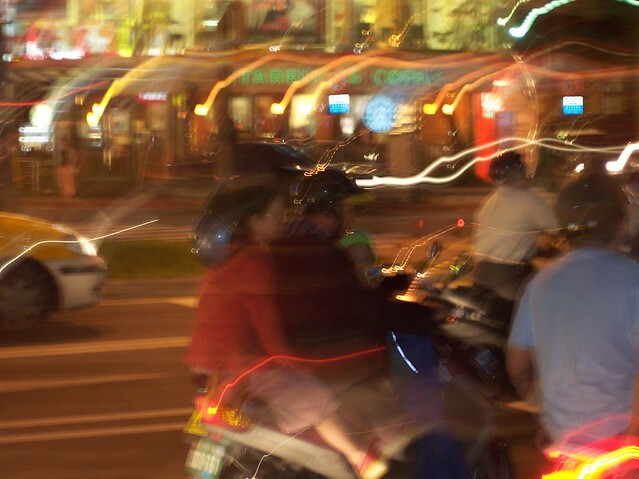 This entry was posted in Photos, Poetry and tagged blur, city, color, haiku, lights, night, traffic. Bookmark the permalink.